As chocolates go, French truffles play their cards very close to their chests. Roundish and lumpy, they are named for the fungi they resemble. Their cocoa dusted exteriors give no clue as to their flavour. Plain, coffee, whisky – or in this case, passion fruit. Recipe from the Manger website. Scoop out the filling of the passion fruit and place in a sieve over a small saucepan. Mash the passion fruit pulp with a fork, extracting as much juice as possible. Discard the seeds. Set the saucepan over a medium flame. Stir in the cream and honey, and bring to the boil. Pour the hot mixture over the chocolate pieces, and stir until the chocolate melts. Stir in the butter. Allow the chocolate mixture to cool, then transfer to the refrigerator for two hours. Pour a thin layer of cocoa powder into a bowl. 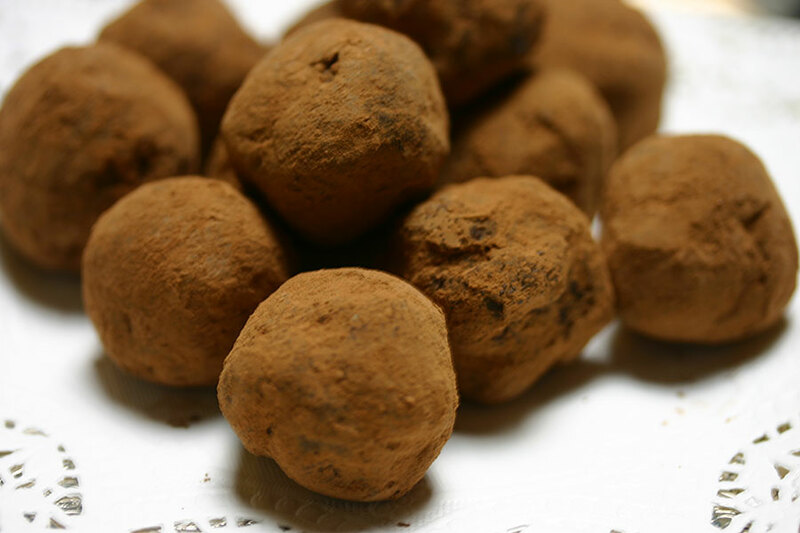 Form the chocolate mixture into balls the size of a walnut and roll in cocoa powder until completely coated.